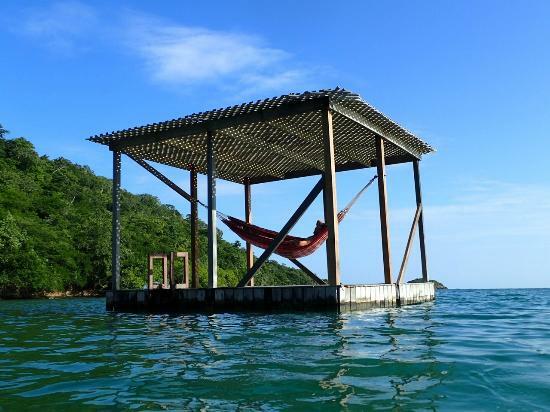 Hello adventurous wood floaters!… or just rafters. This post is actually going to be a bit earlier than usual. We tend to post our blog posts on Fridays, but this Friday is special here in Sweden! It’s MIDSUMMER EVE! Midsummer eve celebrates the longest day of the year in Sweden, which was yesterday. (It’s not actually longer, it’s just sunny the longest.) According to tradition we dance around a pole covered in leaves and flowers and pretend to be frogs. So that’s what we’ll be doing tomorrow, which is why the blog is a bit early! So! 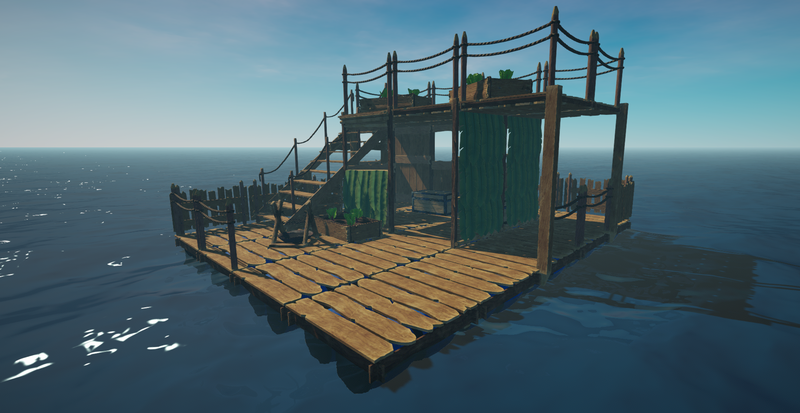 Let’s take a look at what is going on with the Raft building! 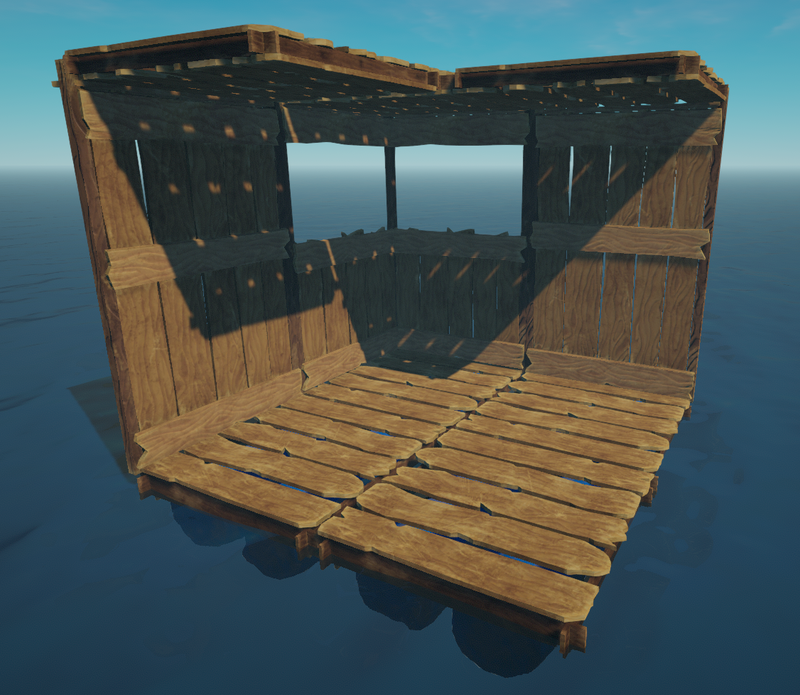 In the last blog we mentioned that we’re remaking most of the building parts! With this comes not just new graphics, but some updates in functionality as well. Lets get to it! 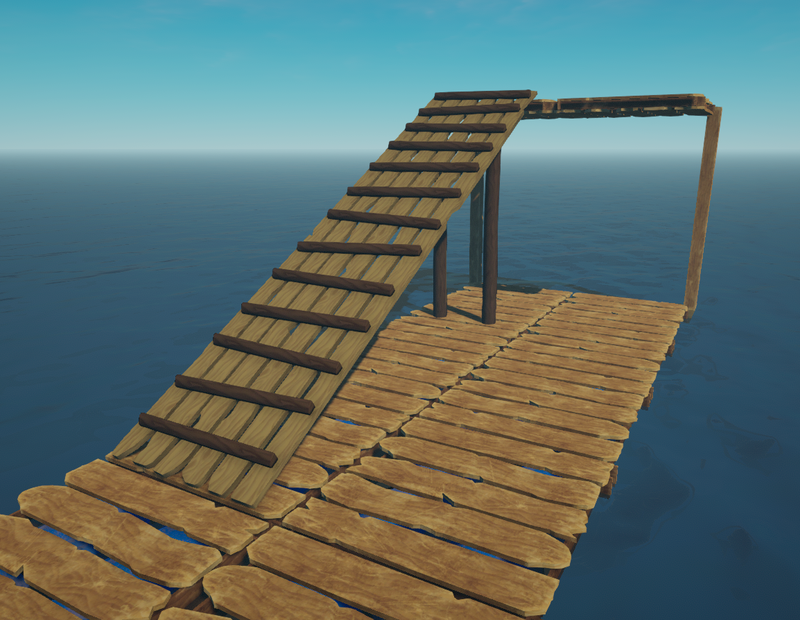 Previously in Raft, when you wanted to build a second floor, you would have to build a pillar in order to support it. That was cool and all, but when you wanted to add some walls you would easily end up with a situation like below, where things start to get a bit cramped, and your precious raft space is not very well optimized. We decided that we felt that walls should be able to support a second floor as well. So, with the updated walls, the pillar in the above picture wouldn’t be necessary! This opens up a bunch of space, making your Raft feel a lot more spacious! Just have a look! You might be thinking; “Well, what if I don’t want a wall? What if I just want a pillar?”. Well don’t worry! The pillar is still there! Actually, it’s even better now (At least we think so!). Previously, you would place a pillar in the center of a foundation. We felt it was quite annoying when it was placed in the center, because you couldn’t really place anything else on that foundation when there was a pillar on it. So we moved it out on the corner of the foundation. 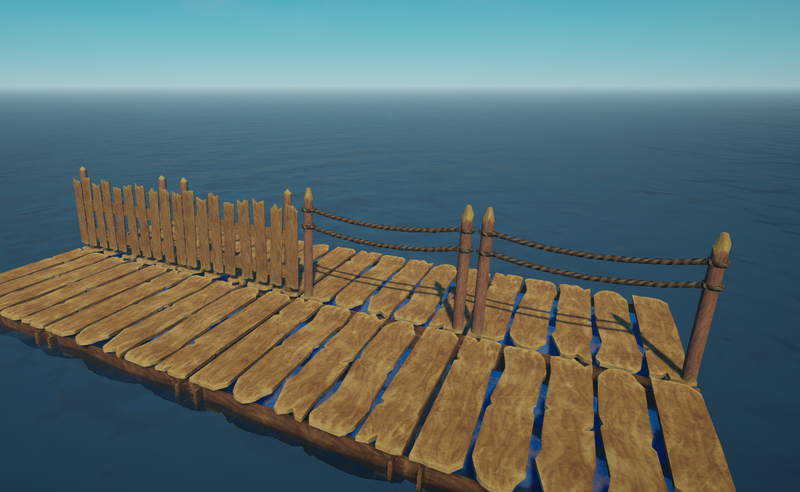 This way you can build much more optimized rafts! Lets look at a practical example. Say you would like to build a 3×2 area with a second floor. With the old pillars that might look something like this. Would you look at that! Not only does it feel a bit unsymmetrical, but two out of six foundations are basically already used! Any architect would laugh at this awful use of space. Lets try the new pillars! Speaking of space, do you remember the old ramp that you used to get to the second floor? That thing was big! It was a whole three foundations long! A bit uninspired on the visual side as well! Time for an upgrade don’t you think? 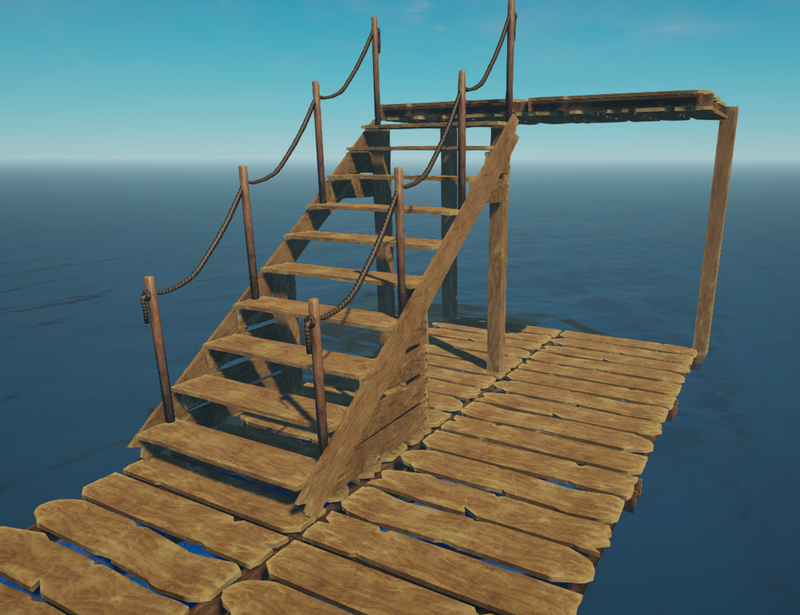 Lets welcome the brand new, straight out of the latest Raft Magazine, stairway! This thing only takes up TWO foundations and also adds a lot of style to your raft! Out with the old, in with the new eh? Something else that’s new are the graphics for the thatch walls! 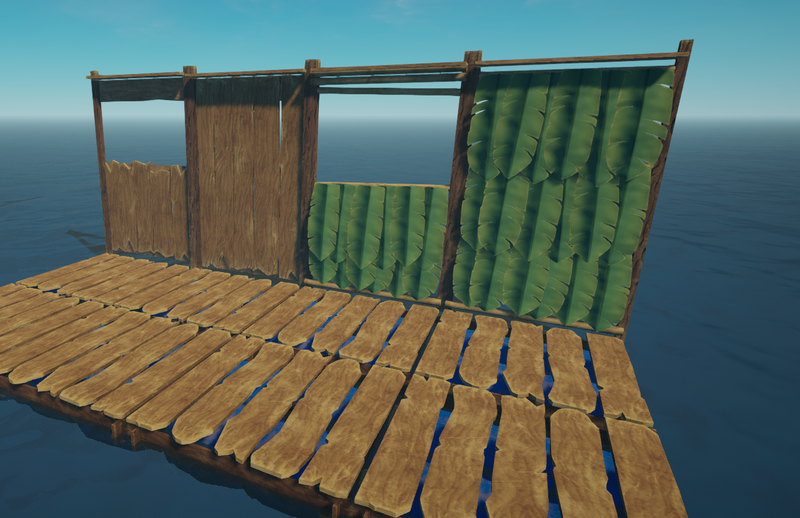 As you might remember from last blog we introduced two new wooden walls. 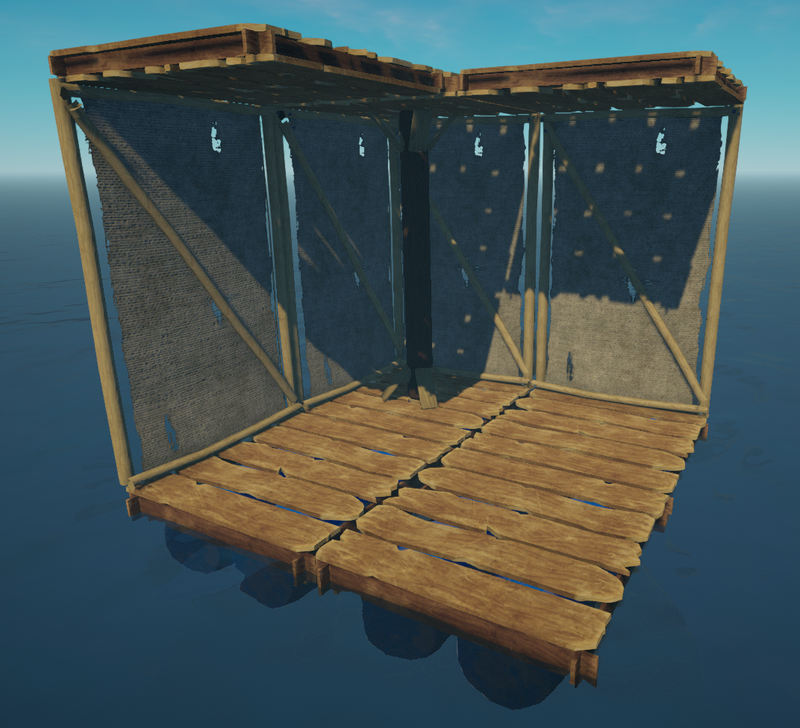 Well, now there’s a total of four walls to choose from when designing your raft! Have a look! Lastly, we realize safety is important when you’re out on the ocean! That’s why we decided to add some fences to your building repertoire! Right now there are two to choose from! Whoosh! That was a lot of building talk for one day! We’re going to go prepare for some midsummer activities, but before we say goodbye, lets just take a look at how all of these parts could look together! 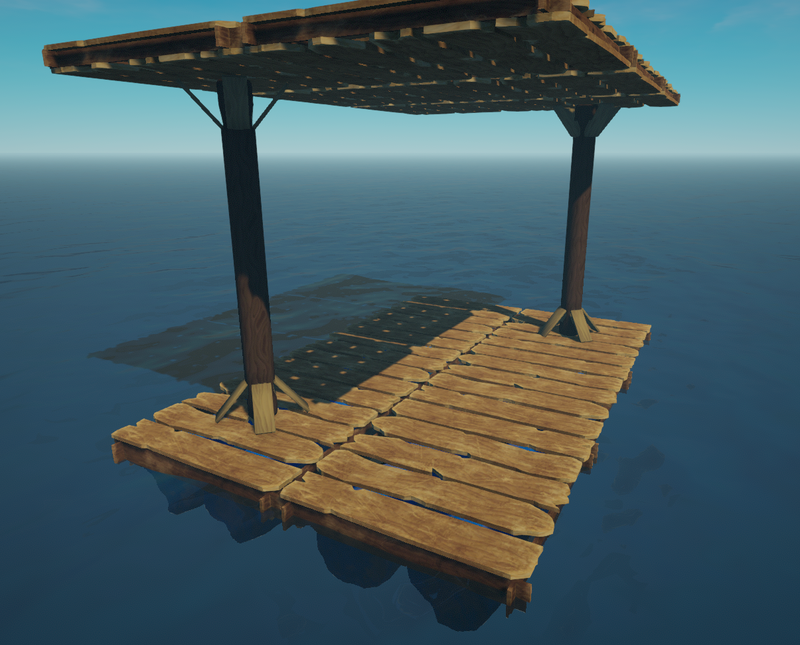 Tell us what you think about all the new building features! 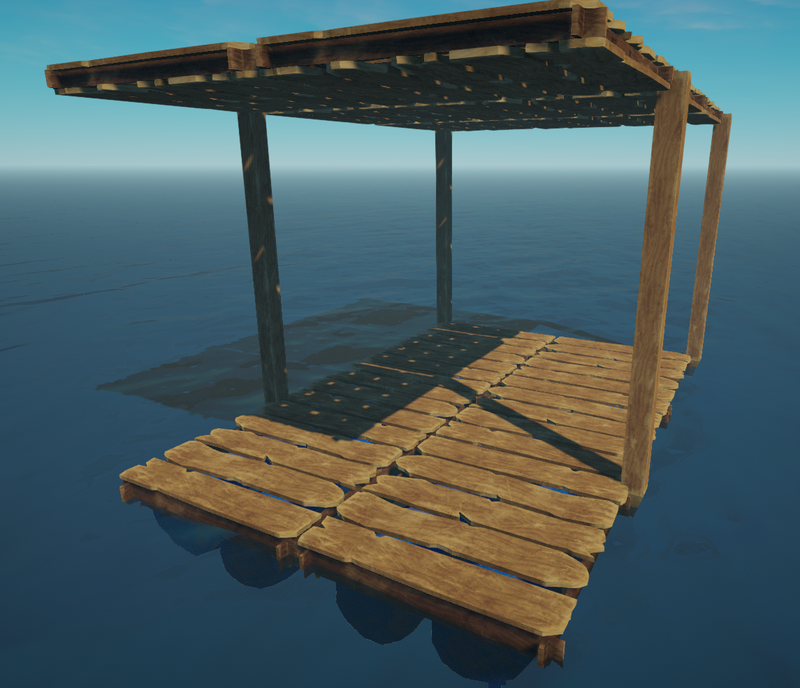 And, what would you like to be able to build on your raft? Please let us know, and we’ll see you in the next blog post! When the game is over ? Look, i just want to play raft. Please don’t take this game and try to make “stranded deep”. The simplicity and creativity factor is what most enjoyed about the game. I love you all! Thank you for these Blogs, totally enjoy reading and seeing the new features! Cant wait to see whats next. Sounds awesome! Can’t wait for the new update 🙂 Any news on possible new game mechanics? away to find bigger fish than mackeral. i.e. tuna, shrimp with nets made from thatch. ? I see you are planning small islands. good for pineapple, mango, and papaya? I can see your directions and will be happy to invest payment for a decent game as I see this becoming. Keep up the good work.